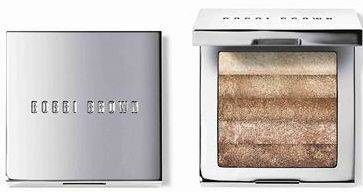 I'm still waiting for the Bobbi Brown trio of mini Shimmer Bricks to arrive in Singapore. You can see real-life pics of these on The Beauty Look Book. 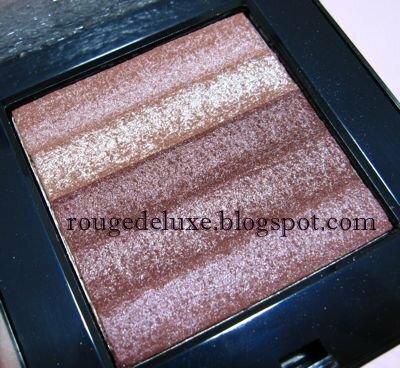 Sandstone is actually a re-promote as it was previously released in summer 2007, according to MakeupAlley's Productville. This looks too pale and washed out for my liking so I'd probably skip it. 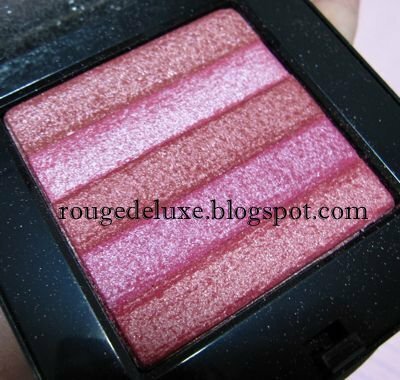 Plum looks like it will make a gorgeous berry-toned blush. 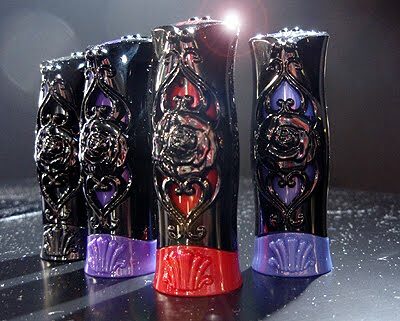 Nectar will be released again in the Cabana Corals collection in January/February so it's more worthwhile to wait until spring to get it in the normal size and packaging which is cheaper (US$38) than the mini version in the chrome packaging which is US$45. 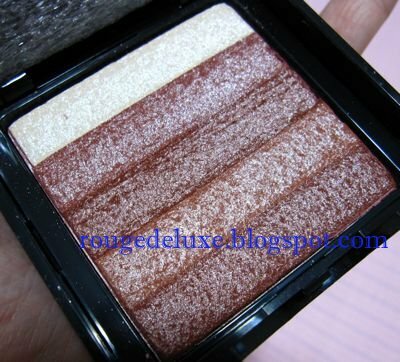 I have collected 6 Shimmer Bricks to date, three are packaged on their own while the other three are part of a Shimmer Brick and Lip Kit that includes a top layer of 4 lip shades. To be honest, I hardly ever reach for these. 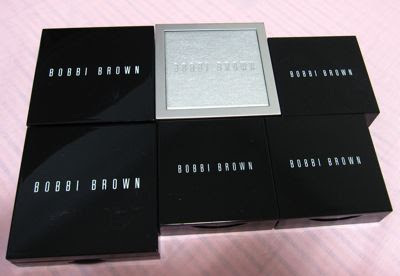 Nevertheless, the collector in me tends to want every new limited edition shade that Bobbi Brown puts out. I'm like this with MAC Mineralize Skin Finishes too but MSFs are a much cheaper indulgence. Milani also makes a much cheaper dupe but the quality and texture is quite different from Bobbi Brown Shimmer Bricks. I'm resolving to use one of these babies every day for the next week but it'll probably be years before I ever hit pan on one of these. Are there any makeup items that you collect but also hardly ever use? If so, do leave a comment and tell me about it! These can also be used to create a gradational effect. 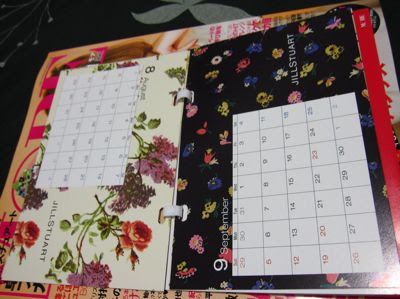 Due out on 15 January in Japan, the 16 shades will retail for 3780yen each. I returned to Sephora yesterday to spend the $20 vouchers that I had earlier received with my earlier Bliss skincare haul. 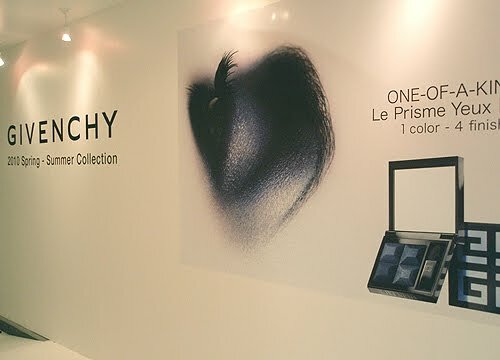 Sephora is still having their promotion whereby you receive two $10 vouchers with $150 purchase. However, these vouchers can only be used on select brands including Sephora's house brand, Too Faced, Pop, Bliss and Bare Minerals (please check in-store for the full list). 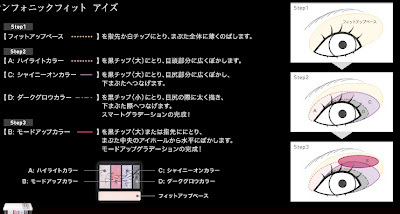 Each voucher can only be used for one product, i.e. 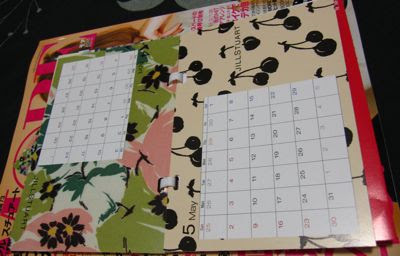 you cannot combine the vouchers for one product. I ended up picking up the Bliss holiday "Best of Bliss" gift set (S$76) and the Blood Orange & White Pepper Body Butter (S$49, 250ml). The set contains a Lemon & Sage Body Butter 125ml, Lemon & Sage Soapy Suds 100ml, Triple Oxgen Instant Energizing Mask 10ml, Fabulous Foaming Face Wash 60ml and a sachet of Best of Skintentions SPF15 3ml. 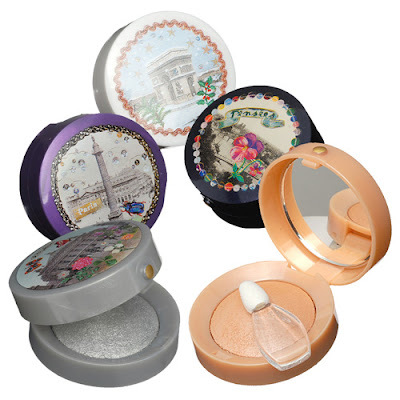 There is a smaller set that includes only the Body Butter and Soapy Suds for S$44. 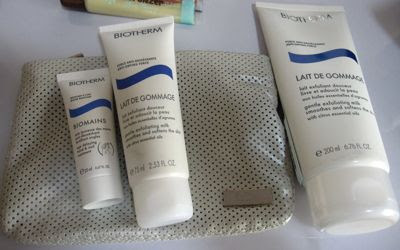 I also got the Biotherm Lait de Gommage (S$52,200ml). This is a ultra-creamy scrub that transforms into a milk upon contact with water. Best of all, it has the same yummy citrus scent of the best-selling Lait Corporel (anti-drying body milk). I wish they made this scent into a perfume as there is nothing else like it on the market. I'm still kicking myself for not picking up the jumbo 400ml size of Lait Corporel in the Amsterdam airport duty-free for €25 which is almost the same as a price of a 200ml bottle in Singapore. Anyway, Sephora is currently giving away a GWP with purchase of any of the four products from the Body Milk Ritual line. 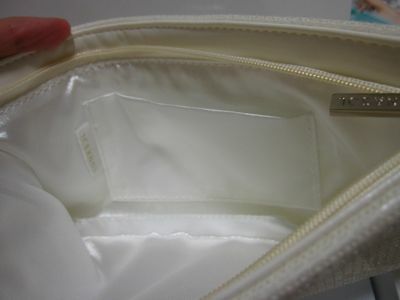 The GWP is a zip pouch, Biomains age-delaying hand & nail treatment 20ml and a Lait de Gommage 75ml. This GWP is exclusive to Sephora. As I received another two $10 vouchers with my purchase, I used these to get the Bliss Blood Orange & White Pepper Hand Cream (30ml, S$15) and a Too Faced Lip Bronzer in Snow Bunny (S$32). The Hand Cream actually works out to be much more expensive per ounce compared to the Body Butter but it's in a much more portable size and the sweet orange scent is yummy too. 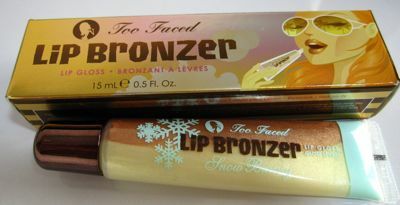 I'm not usually a fan of Too Faced but I liked the cute packaging and the mix of a shimmery bronzey chocolate with a pale yellow shade. The lipgloss has a chocolate scent which comes off strongly if you sniff the tube but once applied, the scent is not noticeable. It applies with just the barest golden tint but I did not like the sticky finish which I felt was not very moisturising. 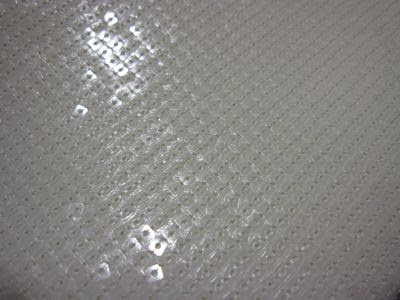 But it does provide a lot of shine without annoying glitter bits or grittiness. With a $100 purchase of Bliss products, you can also receive a 15-minute blissage (massage) or reflexology treatment or waxing of one of the following areas: lip/chin/cheeks/brow/ear/half arm. There is also a full range of waxing services with basic bikini at S$25 and brazilians at S$60. I'm not one for indulging in spas and body treatments as I'd much rather spend the money on skincare products and use them in the comfort of my home. 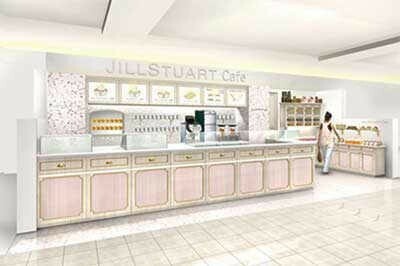 Jill Stuart fans now have another destination to indulge in: the first ever Jill Stuart Cafe has opened in Daimaru department store in Shinsaibashi in Osaka, Japan. It just opened on 14 November. 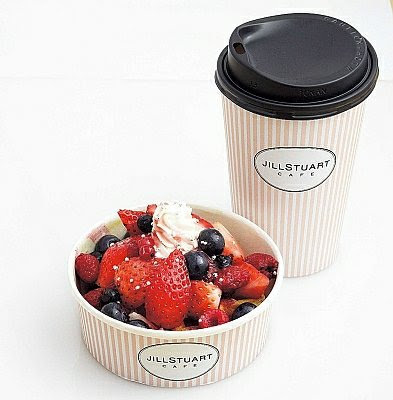 Check out pics of the actual cafe on this Japanese blog. There was a long queue for the cafe! The Esprique Precious website has been updated with the new Spring 2010 collection. 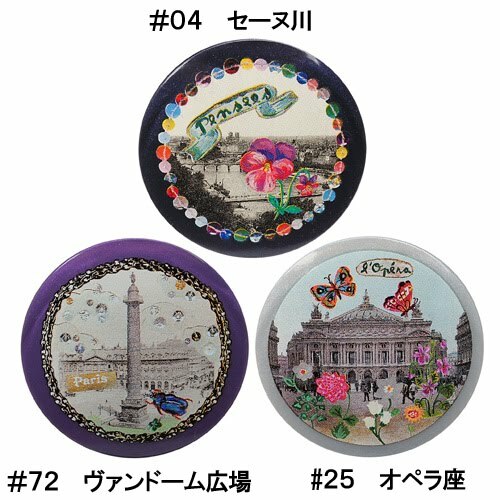 I like the look of the new Symphonic Fit Eyes (3675yen) which feature interesting shade combinations that are a refreshing departure from the gradational shades that Japanese drugstore brands tend to put out season after season. Esprique Precious describes these as "Mod Up Colors". 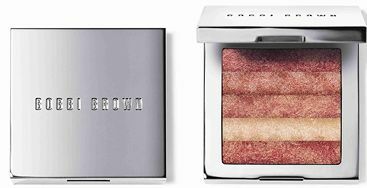 The eyeshadows are formulated with "Super Shiny Pearl" (for enhanced shimmer) and "Glossy Stay Oil" in a "Syncho-Fit" method in which the pearl and color pigment powder particles are uniformly coated with an oil to make them soft and silky to touch. 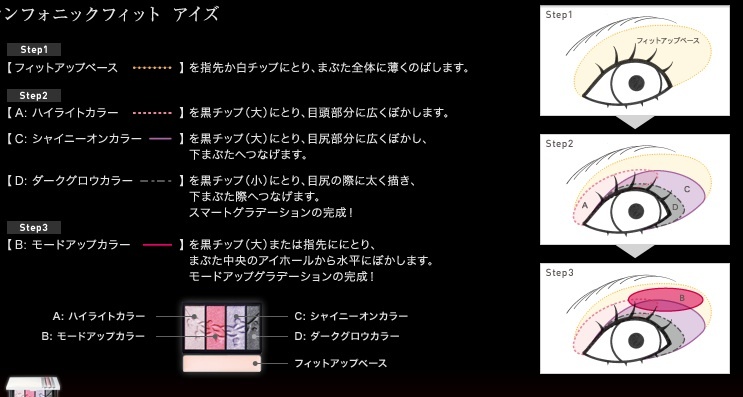 Each palette contains a highlight color (marked as "A" in the diagram below), a "mode up color" (B), a "shiny on color" (C), a "dark glow color" (D) and a "fit up base" (white strip below the four color shades). 1. Apply the fit up base all over the lid either with your finger or the white sponge tip applicator. 2. 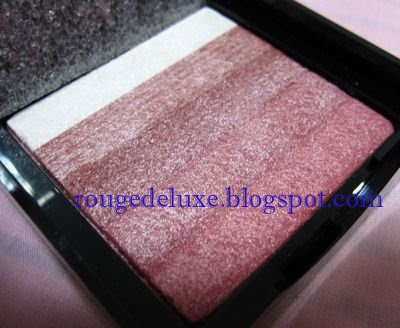 Blend the highlight color with the large black sponge tip applicator on the inner corners. 3. Blend the shiny on color with the large black applicator in the crease to the outer corners and the outer half of the lower lid. 4. Apply the dark glow color on the outer half of the upper and lower lids with the small black applicator. 5. Use either your finger or the large black applicator to apply the mode up color from the centre of the lid to just under the outer half of the brow. Check out the four makeup themes here. All the lipsticks are formulated with "soft smoothing wax" and a "moist clear oil base". The size is slightly larger than the current lipsticks. 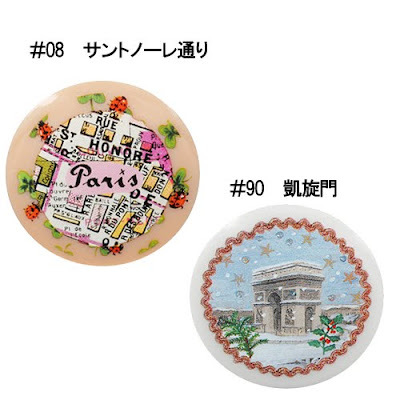 Price is 2940yen. 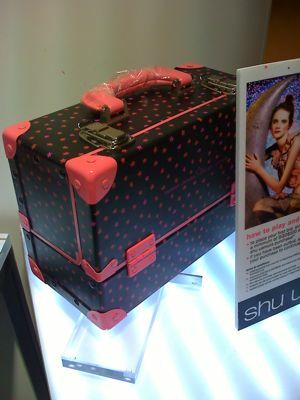 The Tsumori Chisato for Shu Uemura Train Case is on display at the Shu Uemura store in Ion Orchard, which is the only stand-alone store in Singapore. Only 25 of these were made and they are not for sale. 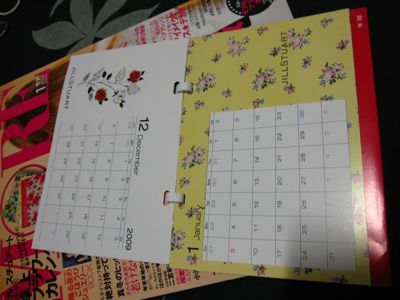 In Japan, three will be given away in a lucky draw. As for Singapore, you first have to spend S$500 at the Ion store in order to place your first bid. 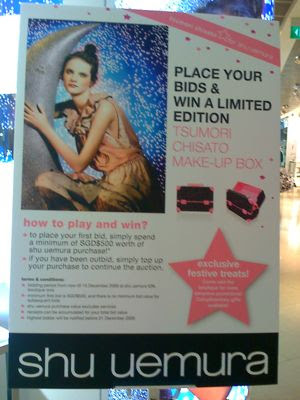 And if you are outbid, you have to "top up your purchase to continue the auction". The bidding period is from now until 15 December and the highest bidder will be notified before 31 December. 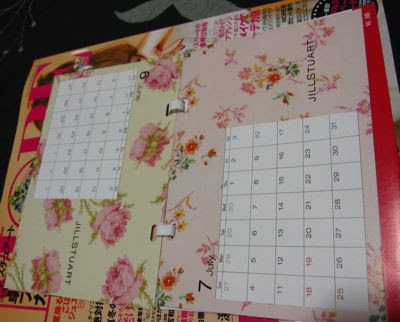 Frankly, I just find the scheme absurd. If they manufactured these train cases and sold them normally at the counter like they did with the Tokyo Kamon Girls collection, I would actually consider buying it. But to just drop a ton of cash without any certainty that you would actually win the darn thing? Go fly a kite. 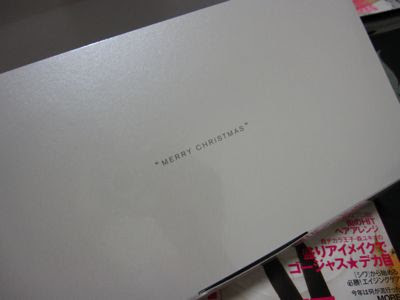 I decided to drop by the Kanebo counter in Takashimaya again yesterday to see if the Lunasol Party Coffret 2009 "White Lighting" had arrived. And I was in luck! According to the SA, it had just arrived on Wednesday. As the yen has risen by quite a bit against the Singapore dollar, the price has been raised from S$99 to S$118 this year. The price in Japan has stayed the same at 6825yen (which is about S$109 at the current exchange rate). 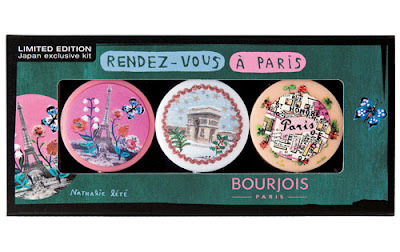 The set opens up like a Japanese bento box to reveal the four makeup products nestled snugly in the plastic tray. The party clutch is elegant and classy but I just would never have the chance to use something like this. Interior of the clutch has a side pocket. 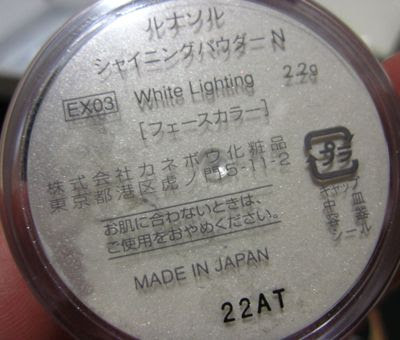 The Shining Powder N EX03 White Lighting is a standard white shimmery loose powder. 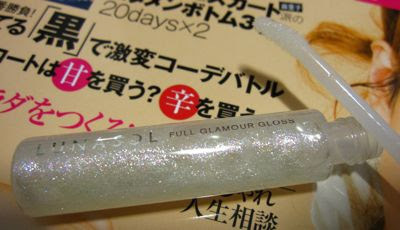 The Full Glamour Gloss N EX13 White Lighting contains a generous amount of product (7.3g) and is basically clear with multi-color shimmer and a slanted doe-foot sponge applicator. 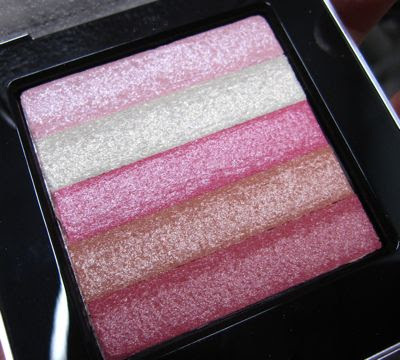 Perfect for adding sparkle to any lipstick. 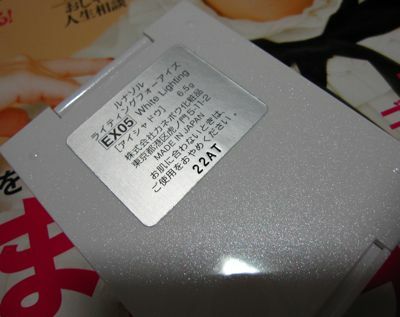 Geminate Liner EX03 White Lighting is also clear with tiny glitter bits. 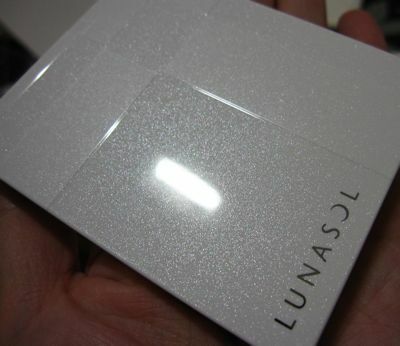 I like the shimmery white compact of this year's holiday palette, which will make it stand out from Lunasol's usual brown cases. 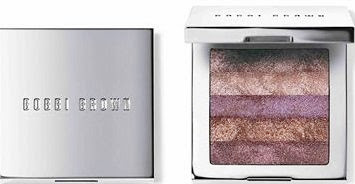 And finally, the eyeshadows! 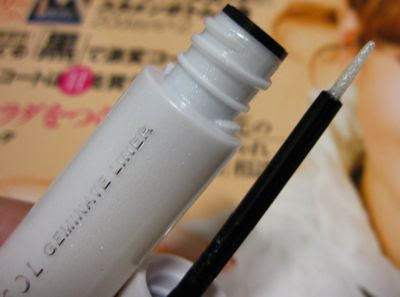 Even the applicators have white handles, which is another thoughtful touch. 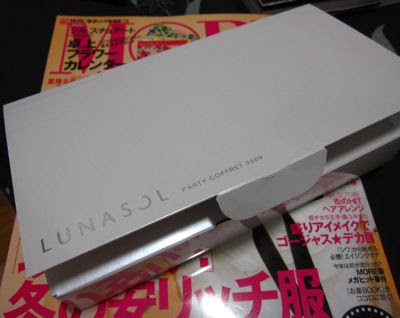 This is actually my first purchase of a Lunasol holiday coffret. I skipped those from the past few years as they usually contained boring brown/beige-themed palettes which I just wouldn't wear often but I thought this year's shade combination looked quite pretty. 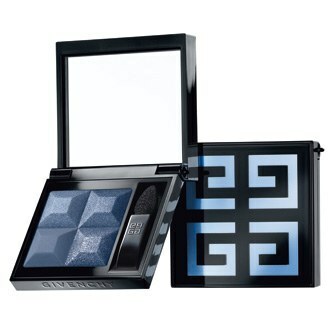 Unfortunately, the coffret does not qualify for the GWP (which is only for purchase of regular items). The Star Showers Eyes palettes seem to have been a big hit with #2 Medium Night (green) and #3 Dazzling Night (blue/grey) out of stock again. 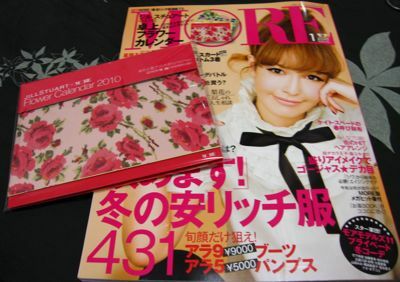 Picked up the January issue of More (S$17) at Kinokuniya Ngee Ann City today, mainly for the Jill Stuart floral print table calendar. The prints are, on the whole, quite sweet and colorful and sure to brighten up any desk. 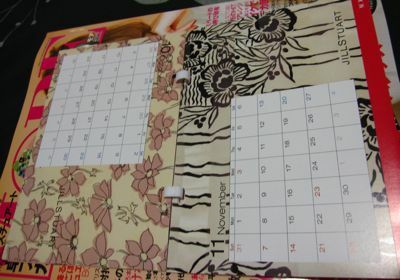 Last year, More had released a Paul & Joe table calendar. 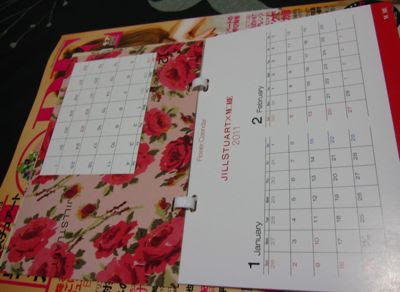 See my earlier post if you would like to see the rest of the P&J calendar. 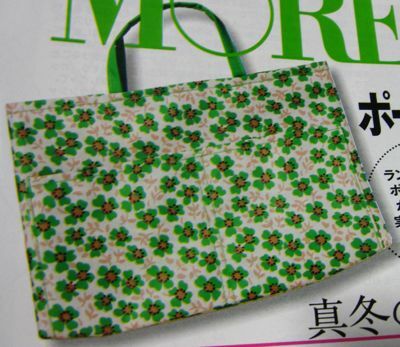 The February issue of More will come with a Paul & Joe Beaute "bag in bag" which can be used as a lunch bag or as a pouch. 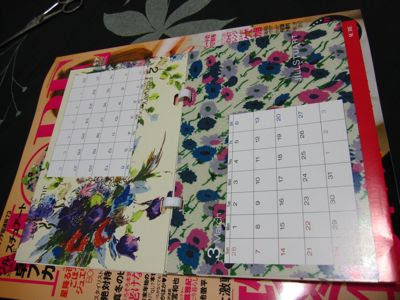 The print is from the spring makeup collection. 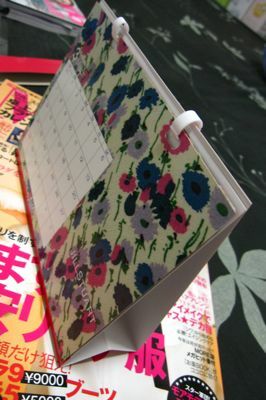 This will be published on 25 December in Japan. 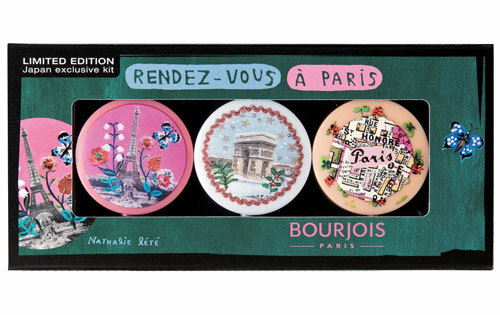 Bourjois has released three of their bestselling blushes and five eyeshadows in these adorable limited edition vintage designs featuring scenes of Paris. The blushes are #32 Ambre Dor, #33 Lilas Dor and #34 Rose Dor. 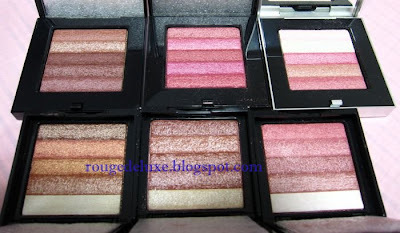 The eyeshadows are #4 Noir Precieux, #8 Beige Rose, #25 Argent, #72 Absolute Violet and #90 Blanc Diaphane. 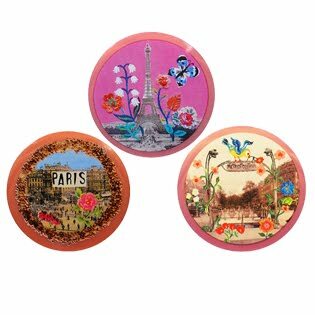 These are currently also available on Asos.com for £5.85 for the eyeshadows and £6.85 for the blushes.